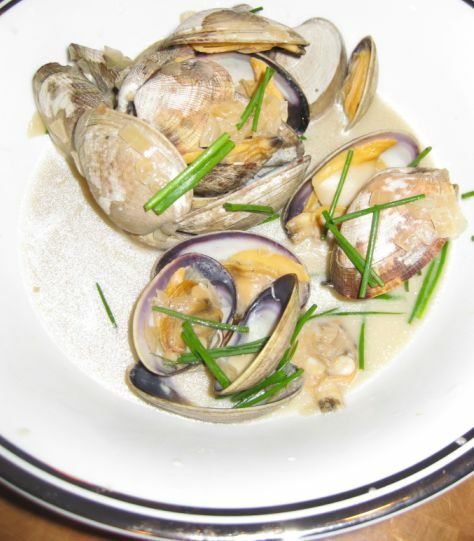 Moules Marinière is the classic French classic mussel recipe and is probably the most common recipe used in restaurants. 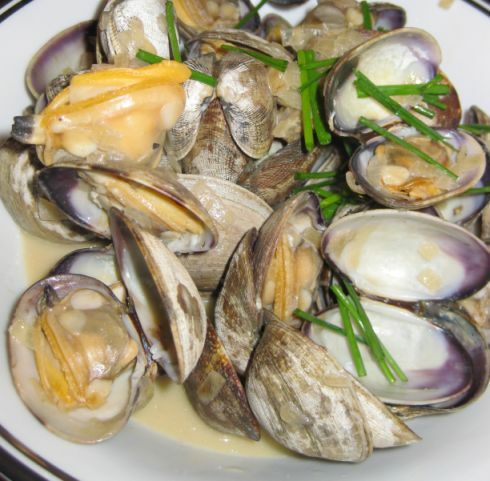 The recipe is very simple to make and only required a few ingredients: chopped onion, crème fraiche or heavy cream, white wine, parsley, butter and Mussels or clams. 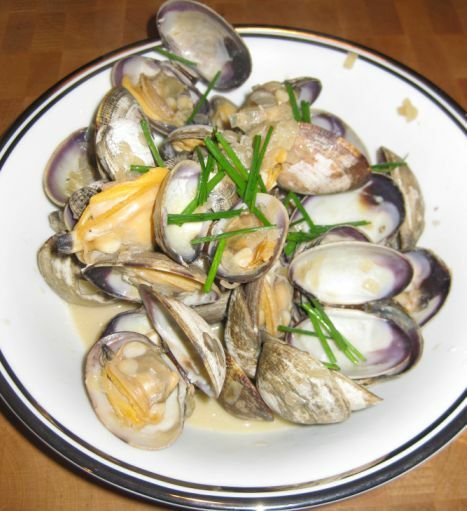 I went to the store looking for mussels but they did not have any so I decided to change the recipe and used Clams instead. 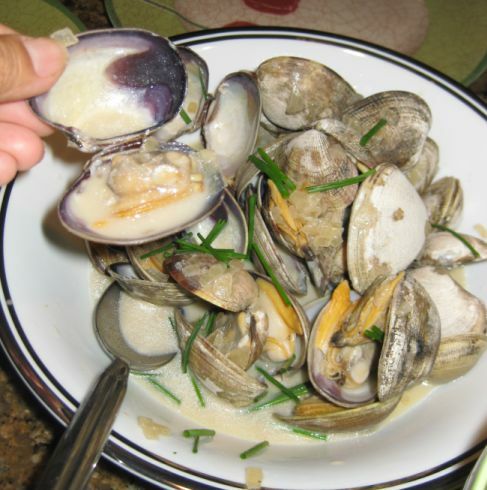 The Clams turned out to be plum and so juicy. This dish is a great social food and perfect to be eaten with lots of friends. Basically, the motto is as the wine flows the mussels or clams get eaten!! 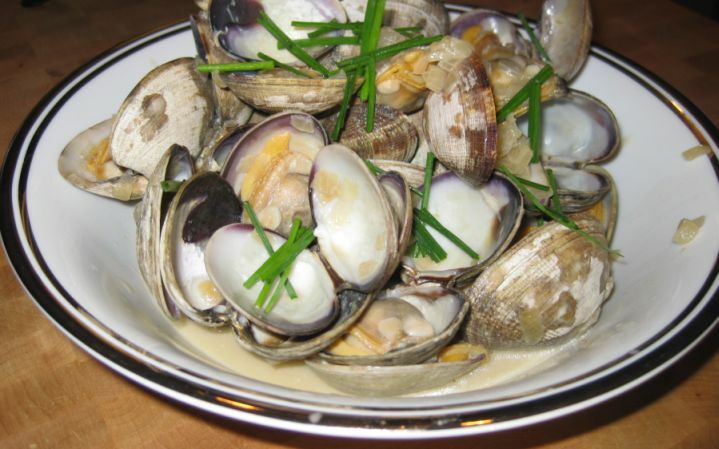 Traditionally, chopped parsley is sprinkled on top of the Clams but since I did not have any I used chopped chive! Close up look at the mussels. The broth is really good and if I did have to watch for my weight I will definitely soak in up with some really good bread! 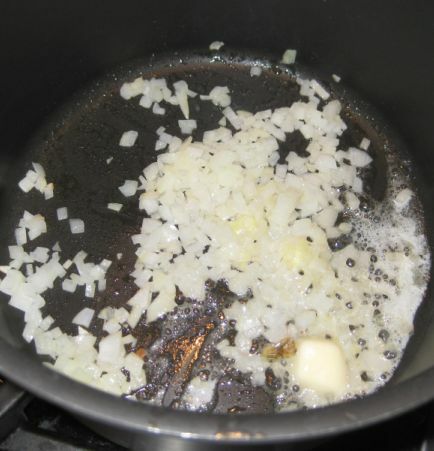 sweating some chopped are onions in an oil pan and melted butter. 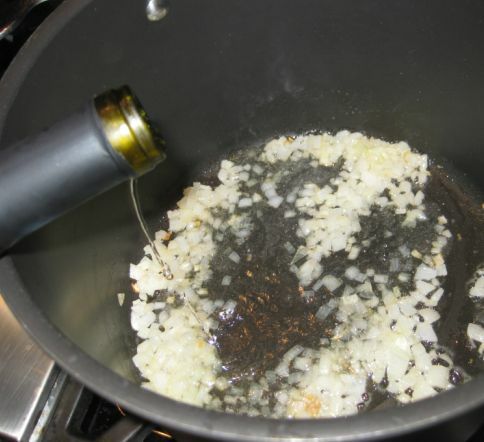 Once the onions are soft, about a cup of white wine is added to the pan. 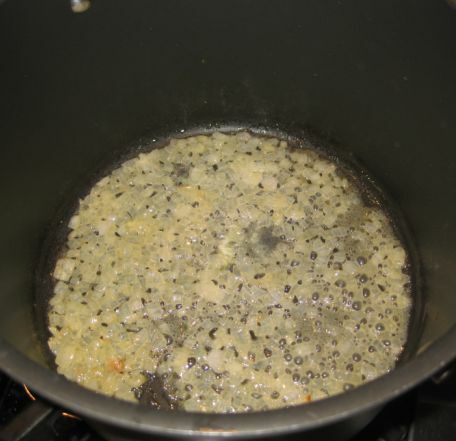 cooking the white wine until all of it has evaporated so that the alcohol has cooked off and the flavors remains. 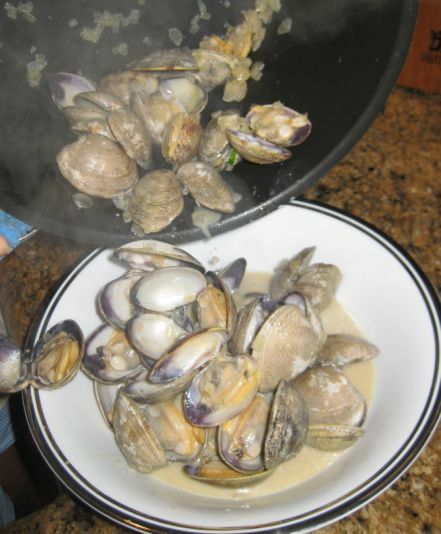 The clams are added to pot and cooked for about 5 minutes or so or until they are open. 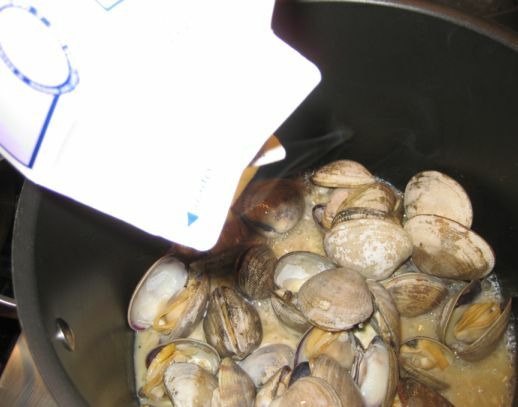 Adding cream to the pan once the clams are almost ready to be served. 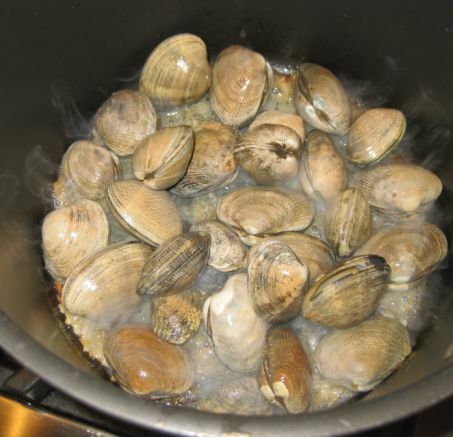 Pouring all the clams in a large bowl and they are ready to be served.